Reading- We started our Reading Workshop this week by setting up procedures that will help us as the year progresses. Math- We started Unit 1 of our Bridges Math program last week. 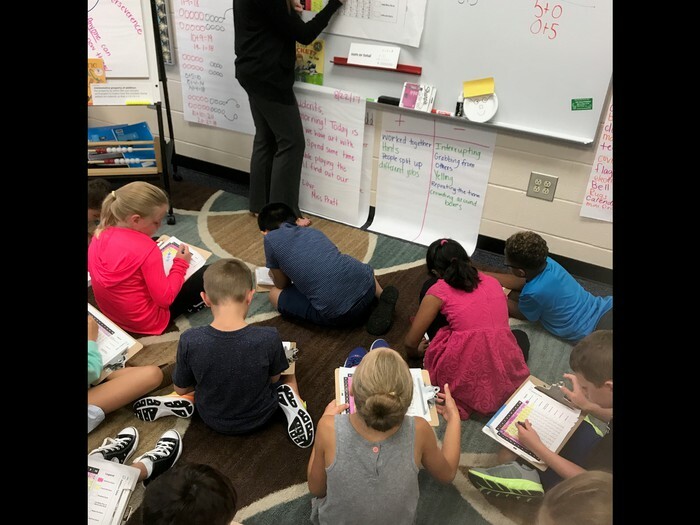 We focused on fact fluency with our addition table this week, specifically how we can use known facts to help us solve for unknown facts. We also learned that mathematicians call "turn around facts," the Commutative Property! 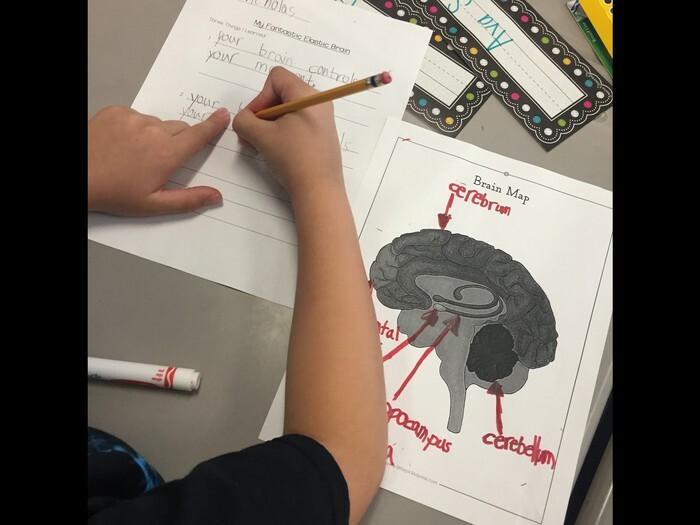 Science- We learned about our brain this week, and started our "brain journal!" Learning about the brain will help us with all future learning throughout the school year. Specifically- knowing that our brain can stretch and grow as we learn! 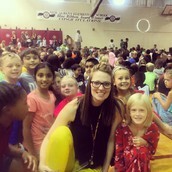 We also learned about a solar eclipse this week and were able to watch it in the gym! 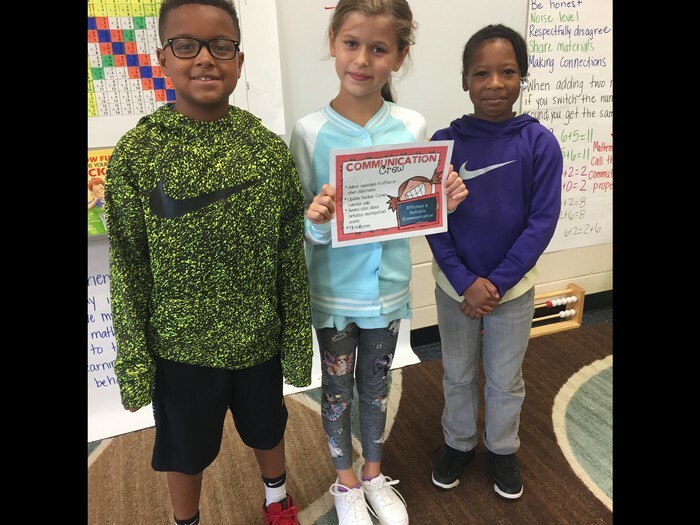 Social Studies- We've spent the first two weeks of school building our classroom community, and discussing what it means to be a community of learners. We also began our classroom economy system this week! See the information on this below. 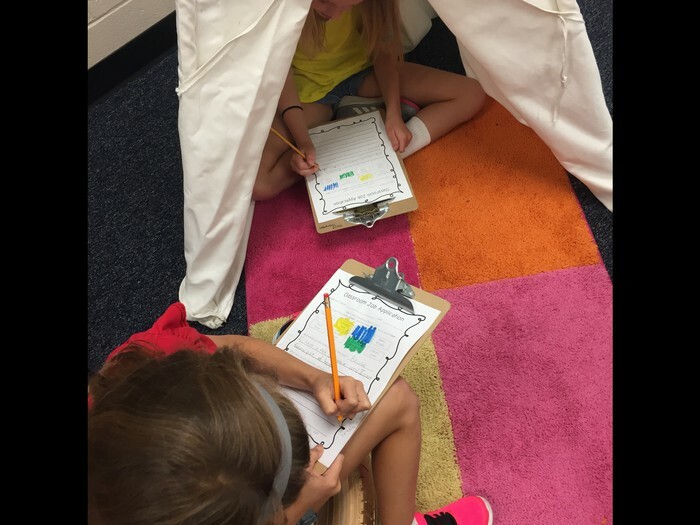 This week we started our classroom economy system, and students were assigned their classroom jobs. Read more about the economy system by clicking here. 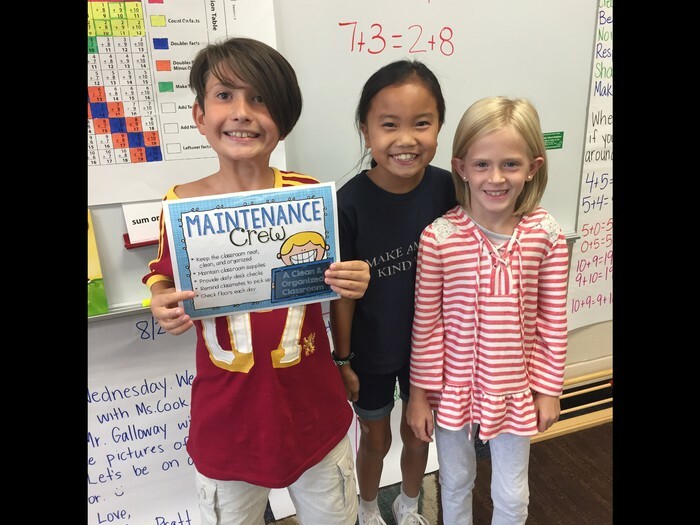 Check out pictures of our "classroom crews" below! 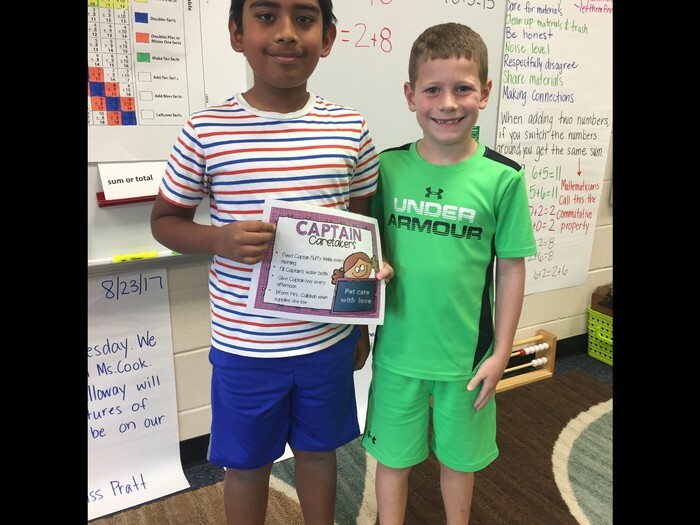 Vibhaan & Jackson will help care for Captain Fluffy Winkle, class pet (Captain will be housed in Mrs. Callahan's classroom). 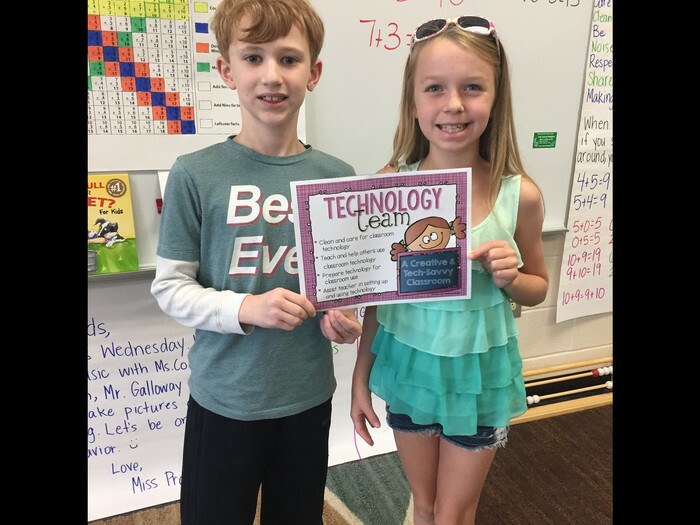 Elliot & Kellie will help keep our technology neat and organized! 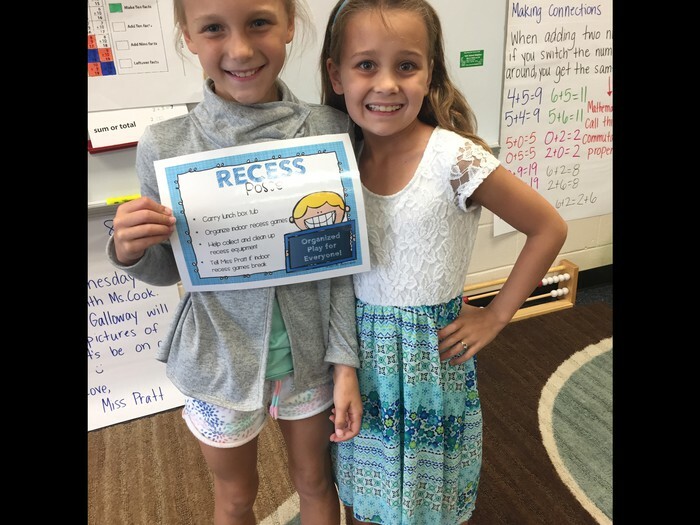 Layla & Addie will help carry our lunch box tub & keep indoor recess games neat & organized. 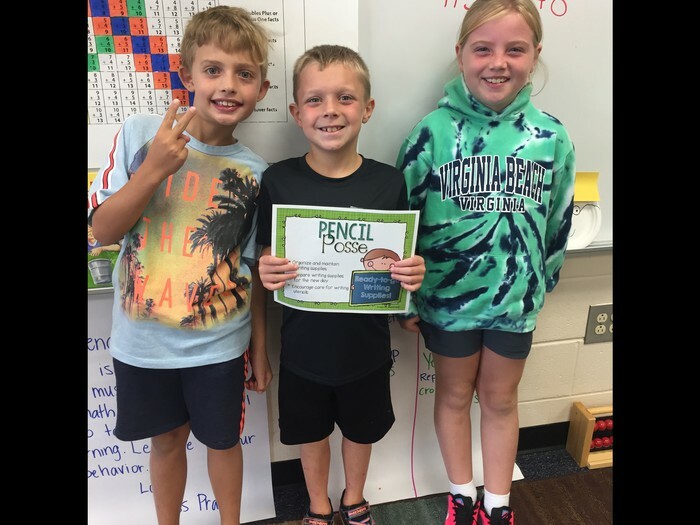 Gavin, Kyler & Ava will make sure our writing utensils are organized and sharpened for classmates to use. 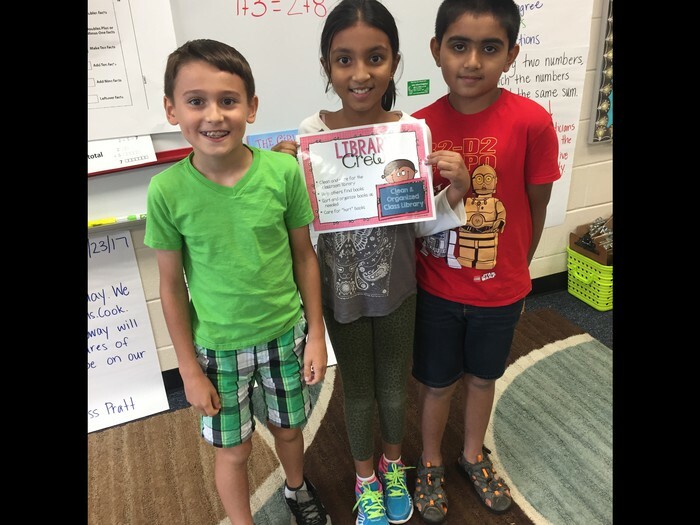 Asher, Nehaa, & Archit will help keep our classroom library tidy, and will help repair any "injured" books. Lavon, Caroline & Julia will help pass out papers, update the calendar, and move our clips at the end of the day. Alfonso, Maddy, & Olivia will help keep our floor neat and will run games of "magic trash." 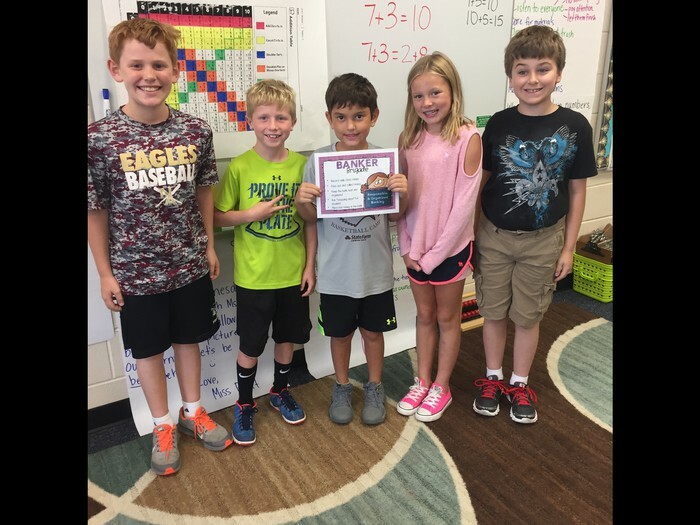 Connor, Dempsey, Noah, Noelle, & Nicholas will be our bankers! They will be in charge of collecting rent, passing out paychecks, & keeping our bank organized! Today your child will come home with their first homework assignment- Create a "Me Museum!" This is a fun activity that will help us learn more about our classmates. This will be due on Thursday, August 31st. We will also present this day. Parents are welcome to attend from 3:00-3:30. Students fill out job applications for our classroom economy system! 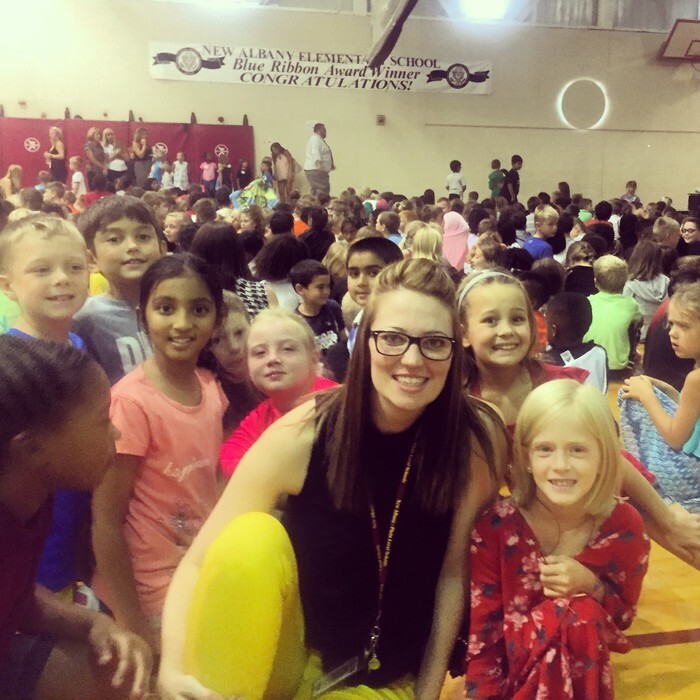 Students view the solar eclipse in the gym. We read My Fantastic Elastic Brain and learned that our brains do A LOT! We also learned that our brains stretch & grow as we learn. We focused on our addition table this week and shared various strategies we could use to solve addition problems. 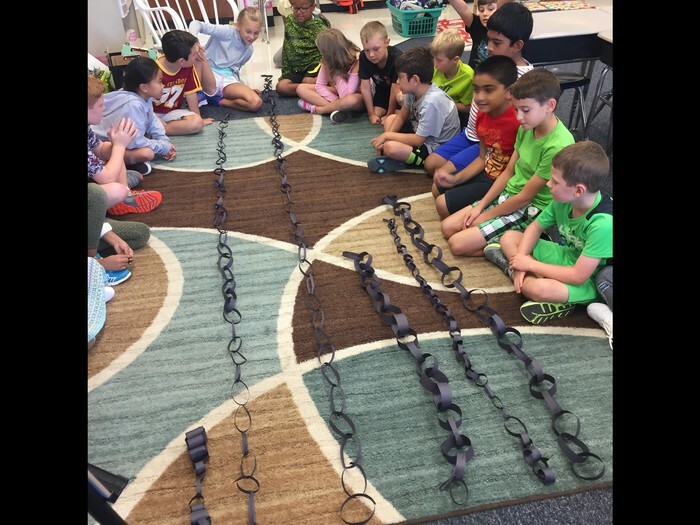 Who could make the longest chain from one piece of paper!? Ask your child how this tied into math! 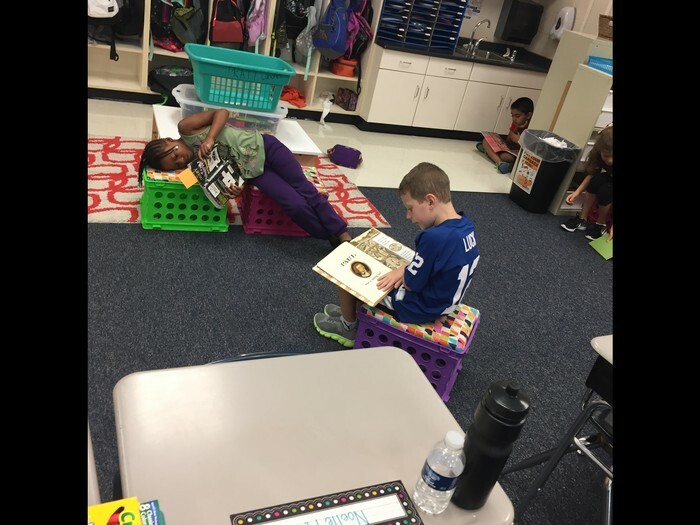 Students find a comfy spot in the room to read a book as we build our reading stamina!